Who is likely to get what they want in the long run? Pampered young adults with trust funds? The smartest? The healthiest? The most aggressive? Individuals given the most advantages in childhood? The “in” crowd at school or work? I would say that any of the above can boost a person’s success, but they can’t guarantee long-term achievement. Please see my two previous posts on determination here and here, which discuss how victory often comes to those who simply refuse to let adverse circumstances dictate their lives. Please notice my brief descriptions of the individuals quoted below. They are, or were, some of the most well-known people in their fields. However, their road to success was long and arduous. One doesn’t become an athlete; a nationally known author and motivational speaker; a politician; or a famous inventor or philosopher after just a few lessons, or a couple of hard knocks. 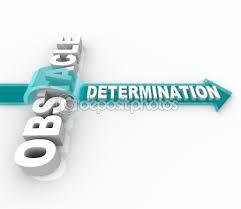 For more on determination, please see my book, Accept No Trash Talk: Overcoming the Odds. What obstacles have you overcome with a little perseverance?